“I debuted pretty late for the National Team. It was my dream to play for my Country. I was not getting younger but kept on going. I believed that hard work could make it possible, and it worked,” he explained. 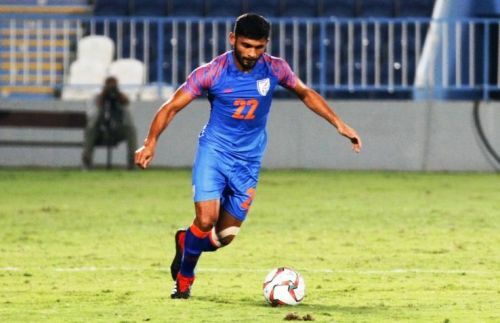 Pairing with club-mate Sandesh Jhingan, Anas has formed a formidable pair at the back which has seen India qualify for the AFC Asian Cup UAE 2019 after a span of eight years. India are pooled alongside hosts UAE, Thailand and Bahrain in Group A. They kick-start their campaign against Thailand in Abu Dhabi on January 6 at 7 pm IST. “The best thing that I like about our defensive line is that all of us are on the same page. Every one stays aware what’s the job of the other one, and we seldom venture out of positions. In reference, he preferred to walk down memory lane to his goal-line clearance against Kyrgyz Republic in Bengaluru, a match which India won 1-0, courtesy a dream strike from Sunil Chhetri. “It was at the spur of the moment. I had little time to think. I just used my legs and kicked the ball away. But I had full faith that had I not got to the ball, then Sandesh would have. That match was so crucial en route to our qualification to the Asian Cup,” he recollects. “In modern day Football, every defender must know how to attack, and how to play the ball. Defenders can alone launch attacks from the defending halves through long balls. Defenders play such a pivotal role in the set-pieces,” he maintained.